This exuberant paper was discovered covering a wooden bandbox made by Hannah Davis, who worked in Jaffrey, New Hampshire between 1825 and 1855. Well known for her carefully made hat and bandboxes, Davis is also credited with designing a machine to cut thin sheets of wood for the sides of her boxes. 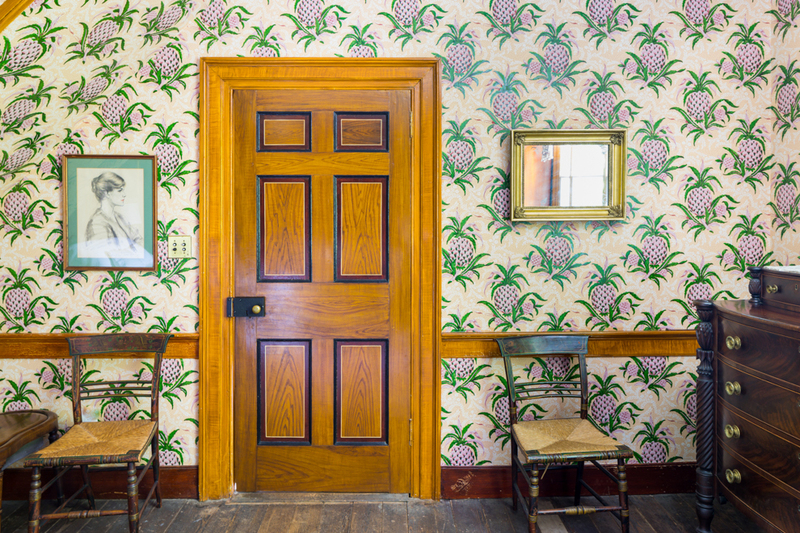 The Pinapples pattern probably dates from the late 1830s to the mid-1840s. It relates closely to a number of patterns found in upstate New York, Vermont, and New Hampshire, including Adelphi’s Ada Harris and Middlefield Sprig patterns, all of which have a similar spray of leaves on stems in the background and pointed lozenge shapes. 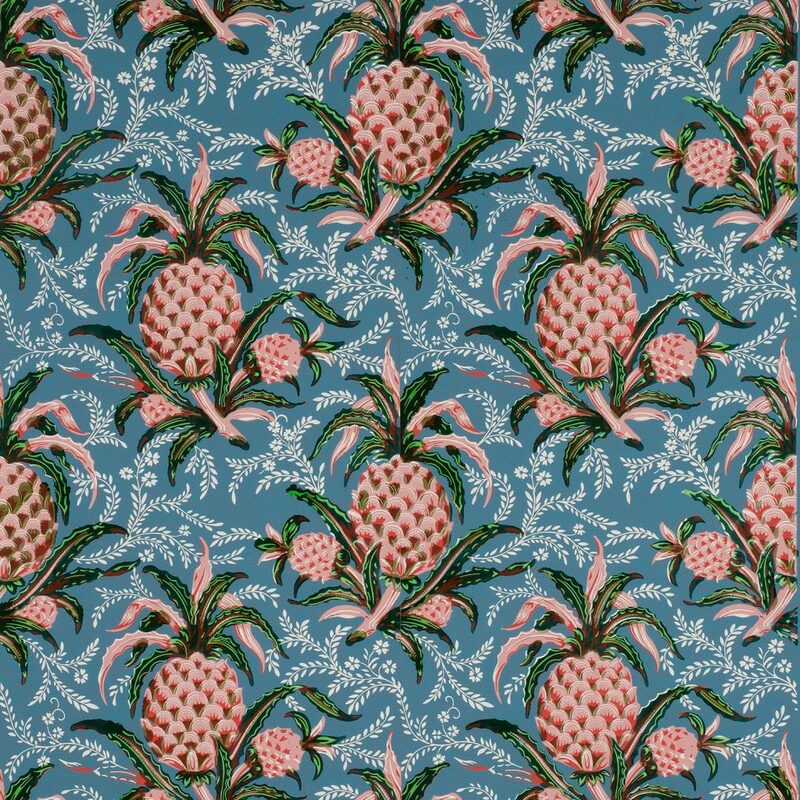 Pineapples was also printed with a bright green varnish, which was also very popular in the 1840s. Imperial Measurements: Repeat 18 ¾ inches, width 18 ¾ inches, length 11 yards, straight match. Metric Measurements: 47.6 cm, 47.6 cm, 10 m.